This one bedroom, one bathroom bungalow needs work but has charm and character to spare. A rough-hewn, exposed beam ceiling, a Dutch door connecting the kitchen to the living room, a one-of-a-kind corner fireplace and cottage-style windows are a few of the charming aspects of this Meiners Oaks home that just might make you fall in love. 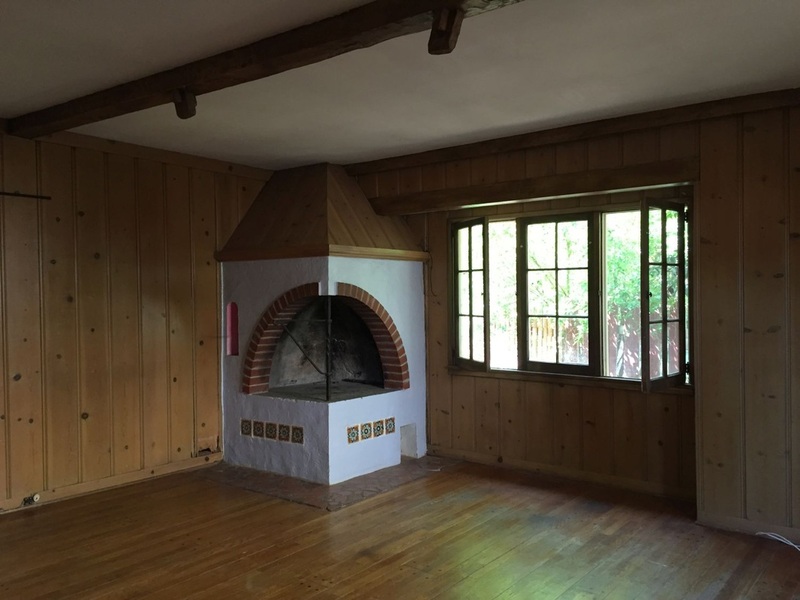 The large living room has wood flooring, a corner fireplace, an exposed beam ceiling, and an alcove that could be used as an office or play area. A Dutch door connects the living room to the kitchen, which has a pantry and a door leading to the covered back porch, where you will find hookups for a washer and stone stairs leading to the cellar. The dining area, which is open to the kitchen, is filled with natural light from multiple windows. Off of the living room, you will find the bedroom with a wood floor, en suite bathroom and an entire wall of built-in closets, cabinets and drawers. There is also a built-in vanity or desk in the bedroom, and the bathroom has a linen closet and a striking tile bathtub alcove. To the front of the home, there is a gated entry, a large, separately fenced area that could be used for a garden or dog run, mature landscaping, citrus trees, a fig tree, a pomegranate tree and a flagstone front porch leading to the entry. Behind the home, there is a flagstone patio, laundry area, rock patio, chick coop, mature trees and a separate studio. This multi-room studio with a bathroom could be transformed into an art studio, home office, yoga studio or guest quarters. All of this potential is just a short walk from the eclectic shops and restaurants of Meiners Oaks and only a short drive away from all that downtown Ojai has to offer. 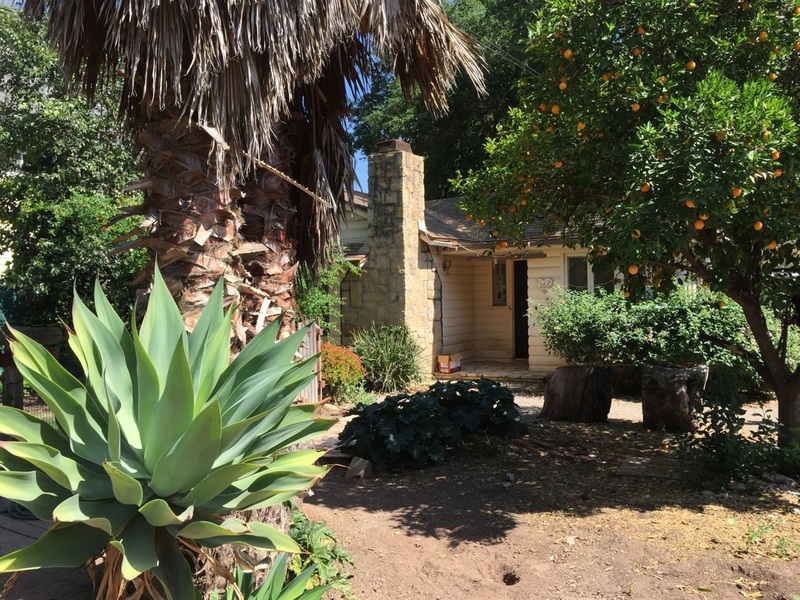 To learn more about this Ojai home for sale, contact Nora today.